"Fall"ling Prices Linky Party-Week 4! Hello there! Seriously, where has this month gone? This time of year is so crazy busy, and time flies by so fast! 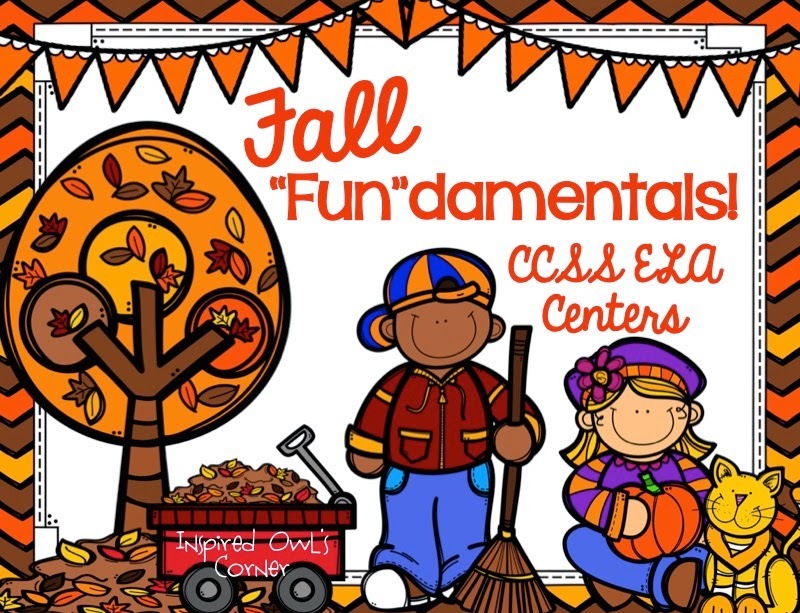 I can't believe it's almost November, and this is the last week of our fun "Fall"ing Prices Linky! A special thank you for Laura from A Grace-Filled Classroom for making this linky party happen! It has been so much fun! 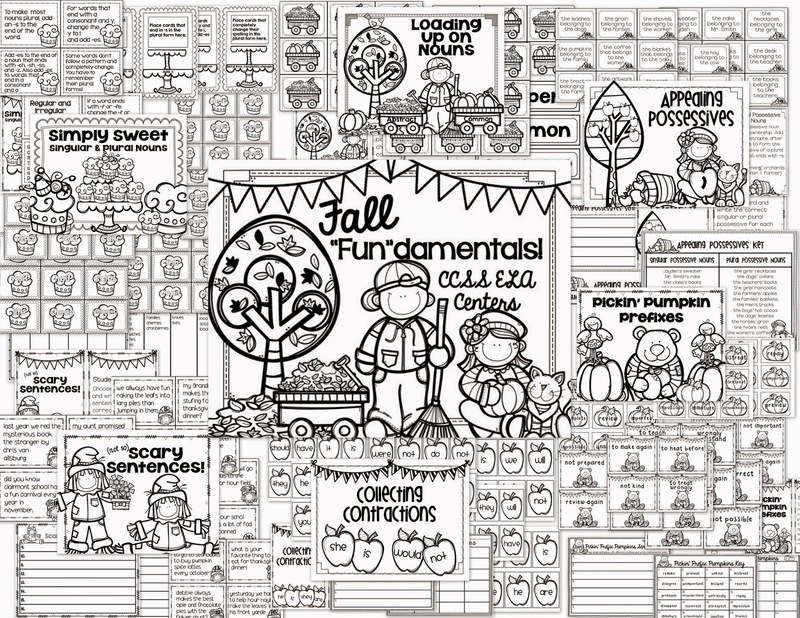 First up on sale for $2 today only is my brand-new Fall "Fun"damentals pack. (The cover looks a lot like the linky button, Laura made, LOL!) 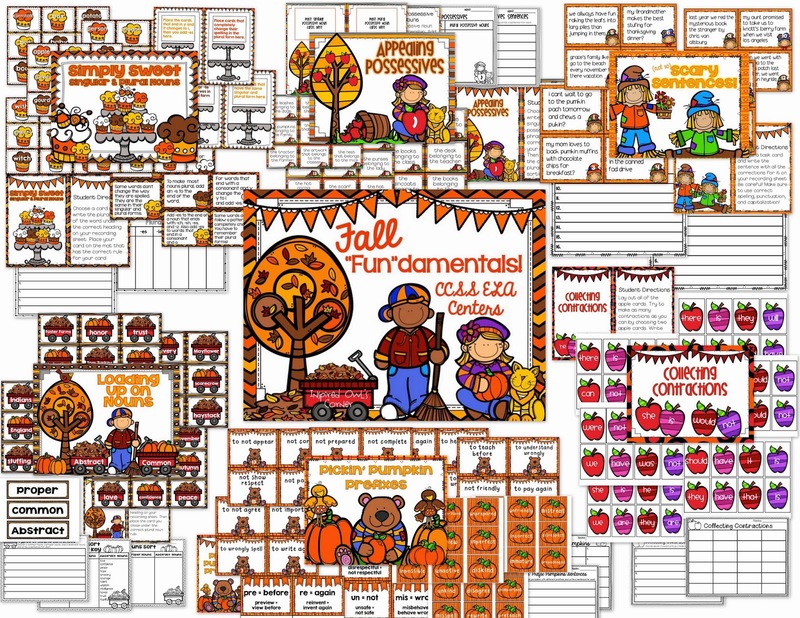 This pack has lots of practice for basic ELA skills geared for second and third graders. I created it for my combo since these are the skills we are practicing right now: prefixes, contractions, plural nouns, editing sentences, common, proper, and abstract nouns, and possessives. Click on the picture below to see it in my store! Check out the file below. It comes in color and black and white. Here's my laminated pile! I had time today to cut it out while the kids worked on their district writing assessment! I LOVE laminating, cutting out, and organizing files! And my cute felt bags, pails, and fall plates an bowls are all ready to go for centers this week! 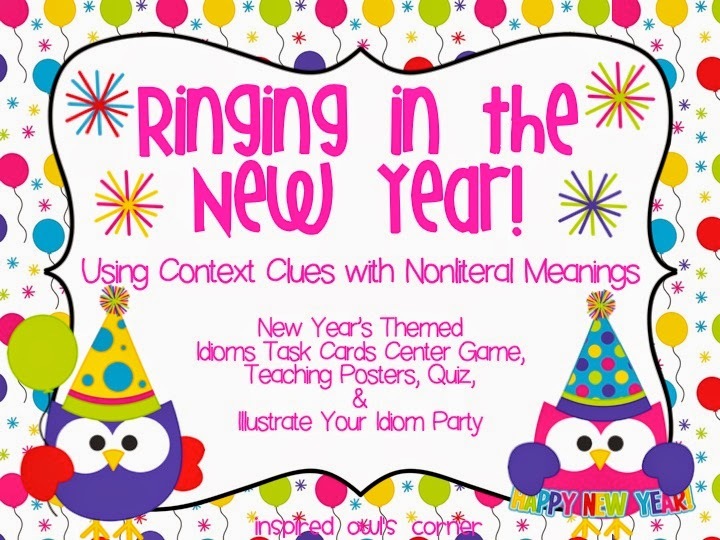 My next item on sale for $2 is my Idioms pack with a New Year's owl theme. The kiddos had so much fun with this last year! It really helped them to understand this difficult concept! 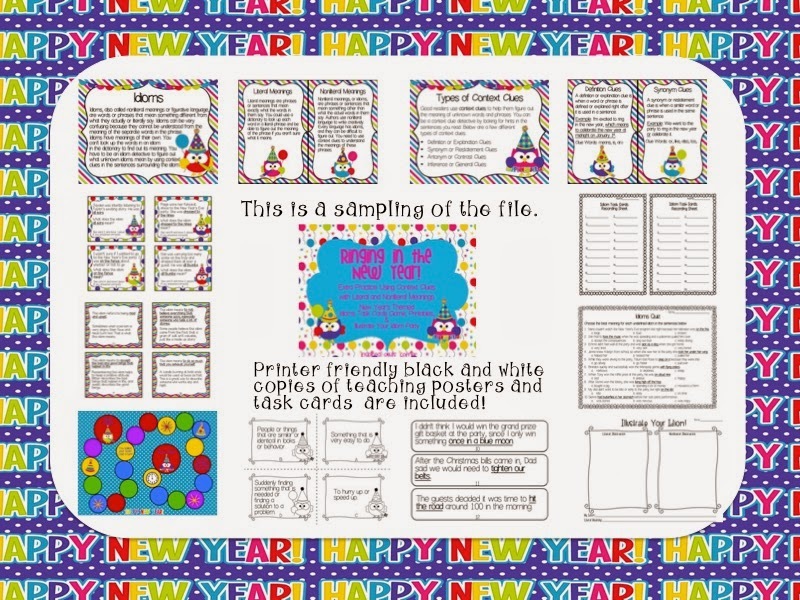 Included are two different task card sets, teaching posters, a tea party activity, and recording sheets. Click on the picture below to see more about this pack. And everything else in my store is 20% off! Be sure to link up! I can't wait to see what you have to share! 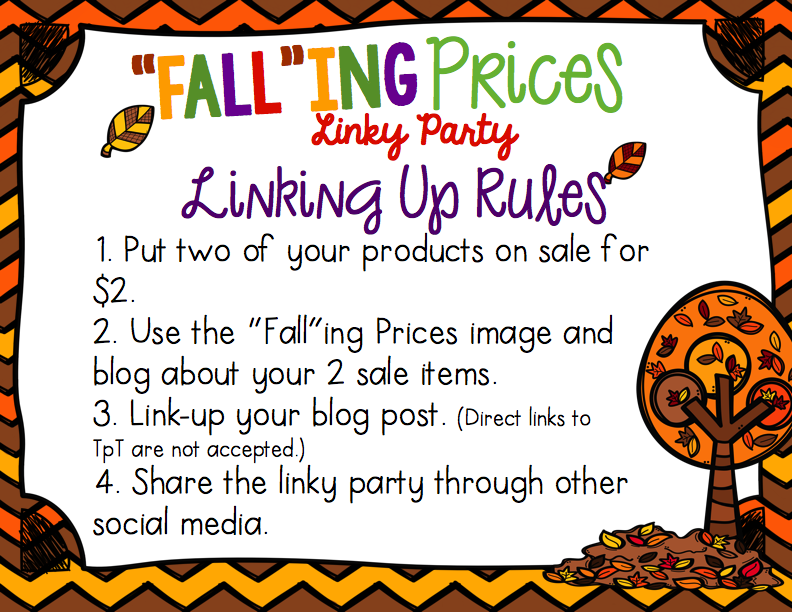 "Fall"ing Prices Linky Party- Week 3! Sunday Savings Circulars Linky Party! 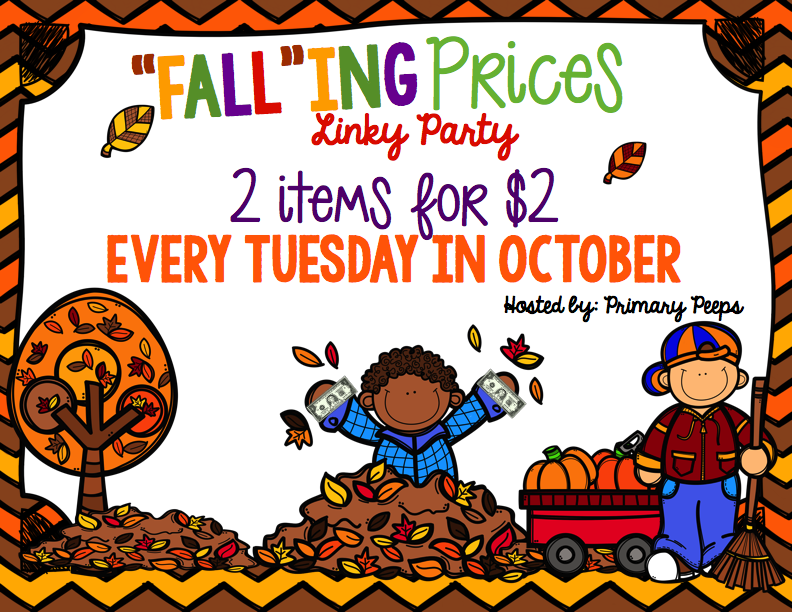 "Fall"ing Prices Linky Party- Week 2!